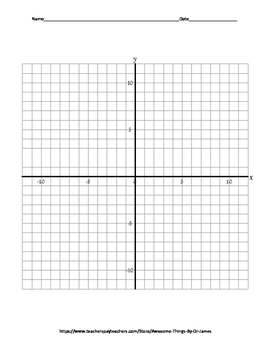 With this activity, students will practice graphing coordinate points on all four quadrants of the coordinate plane (12 in each direction with precision up to one-quarter of a point). 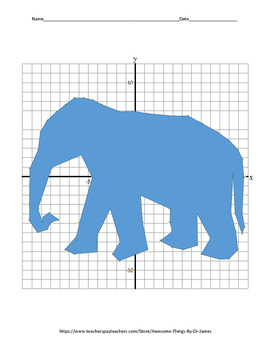 Students will connect each point as they graph in order to reveal the answer to the mystery fun fact! 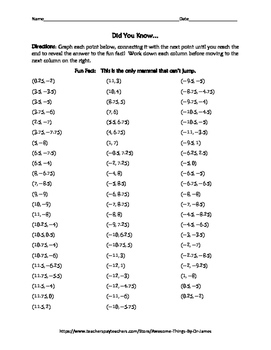 This is a great way to review skills for graphing and the activity lends itself toward the discussion of fractional parts on the coordinate plane. 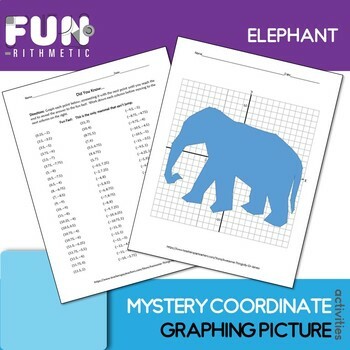 In addition, this activity is wonderful for early finishers, skills enrichment, sub plans, or just plain fun! When students are done, have them color their picture to use as fun classroom decor!